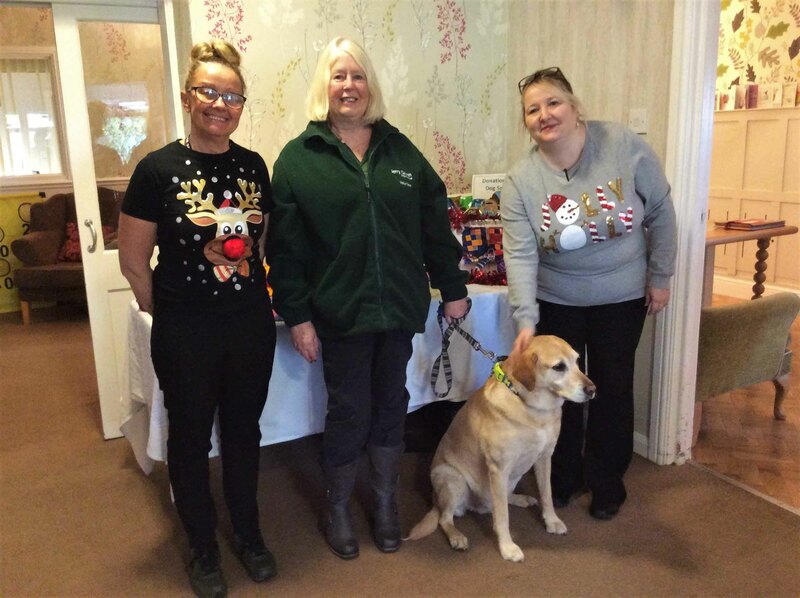 On 11th December, Highfields Care Home in Edingley had a special visit from a local charity they support, Jerry Green Dog Rescue, to make some festive donations. 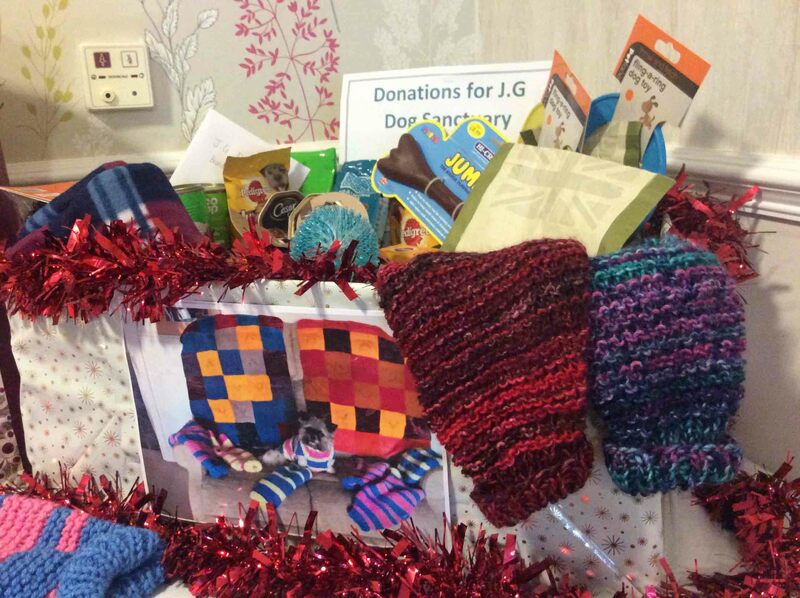 As animal lovers at Highfields, our residents decided they’d like to help out a local charity. Over the past year we have built a lovely relationship with the sanctuary and met several of their dogs. This special visit was from JG’s ambassador dog Drummer, and his owners Brenda and John. 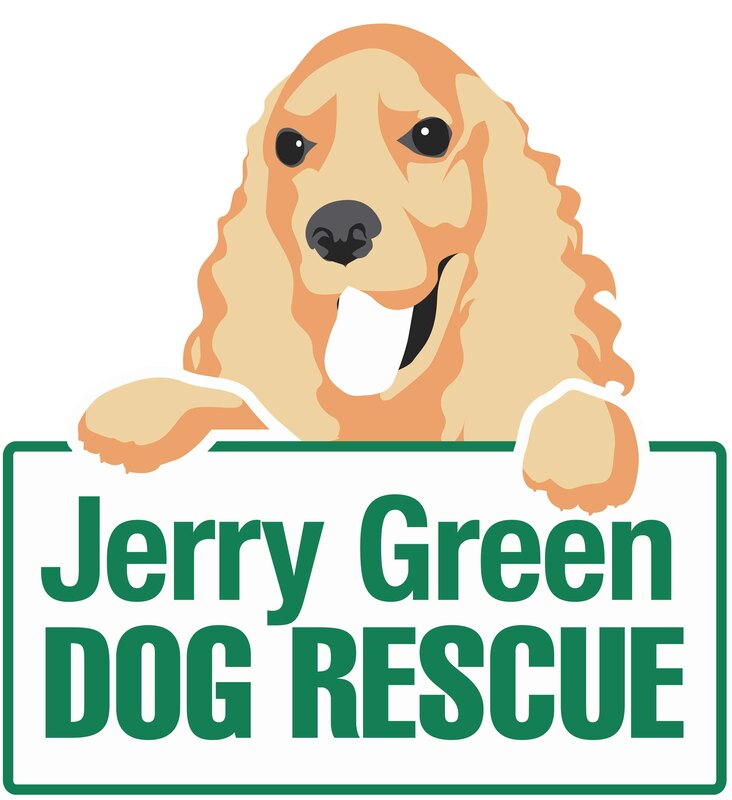 Founded by Jerry Green in 1961, the charity has five rescue centres in North and South Lincolnshire, North and East Yorkshire and Nottinghamshire. For more than 55 years they have been transforming the lives of abandoned and unwanted dogs by providing shelter and finding them loving homes. 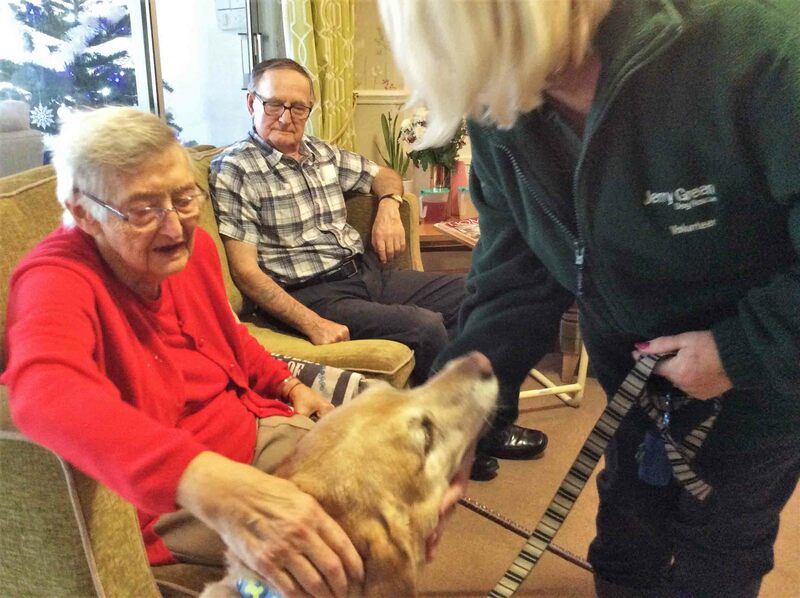 We had a lovely morning chatting and reminiscing about dogs we’ve owned and the residents loved meeting Drummer! 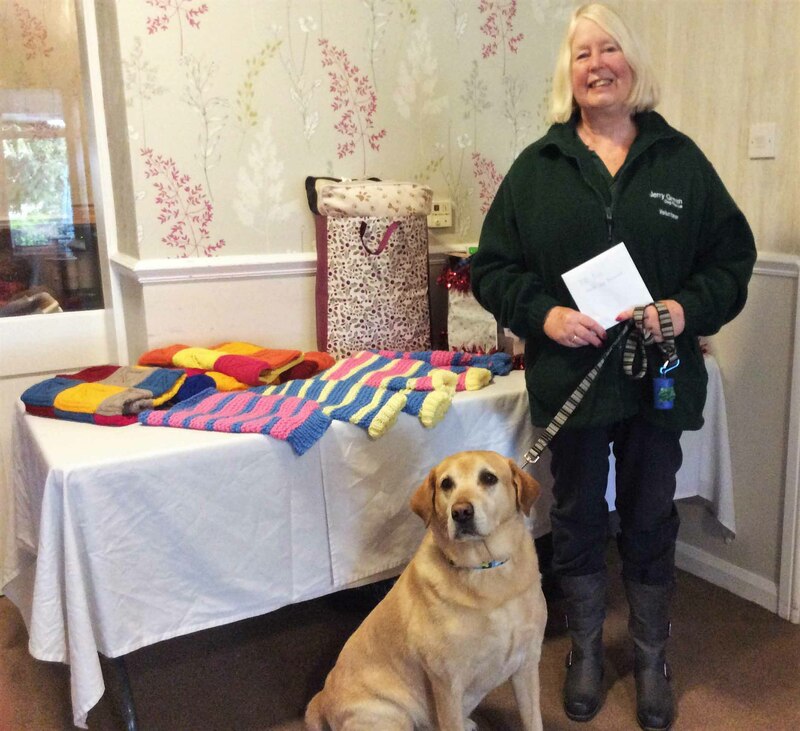 To help out the charity, we donated a Christmas hamper full of goodies for the dogs, as well as hand-knitted blankets and dog jumpers to keep them warm, knitted by Pam, a friend of Highfields. 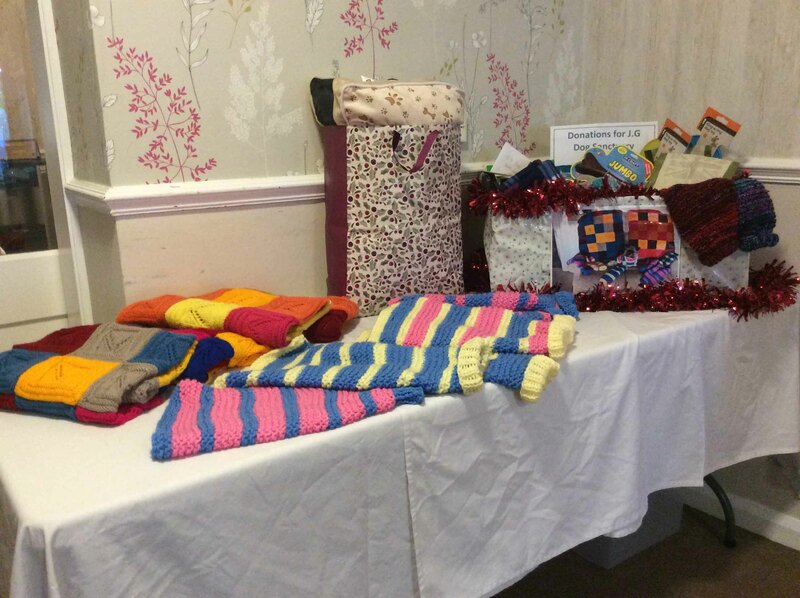 We also made a donation of £45.40 we raised from a coffee morning we hosted as a Christmas fundraiser for the charity. Highfields Care Home is located in Newark, Nottinghamshire and provides ​​nursing care, palliative care, residential care and respite care.